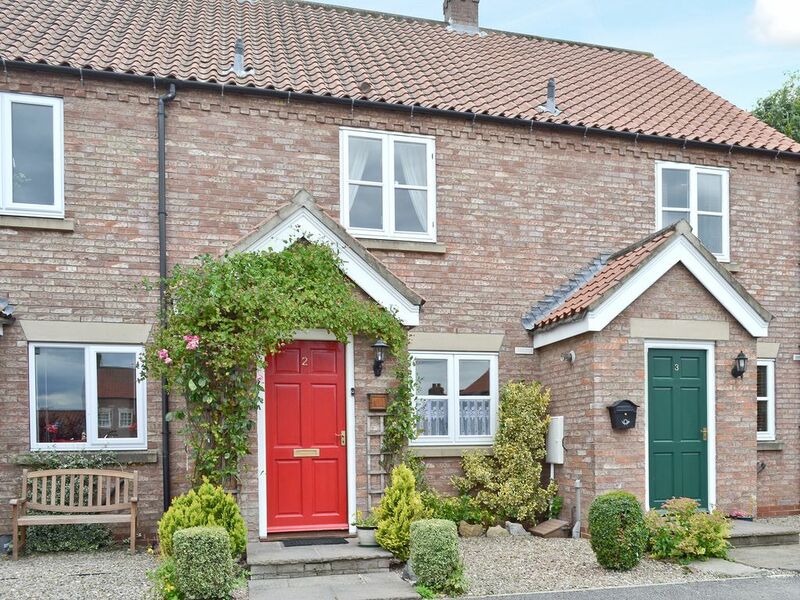 Just off Thirsk’s market square, this cosy mid-terrace cottage has its own secluded courtyard and open fire. Standing quietly just off the market square, this carefully furnished, mid-terrace holiday property offers cosy accommodation within a secluded courtyard. The market town of Thirsk is renowned as the Darrowby of the late James Herriot (Alf Wight), famous vet and author of ‘All Creatures Great and Small’. Visit the unique tribute at the ‘World of James Herriot’. Another famous son of Thirsk is Thomas Lord, founder of Lord’s cricket ground and Thirsk Museum can be found in his birthplace. The cobbled, medieval market square hosts a twice weekly market and is surrounded by individual shops, traditional inns and tea shops. The Dales, Moors, Scarborough and Whitby are all easily accessible. Shop, pub and restaurant 100 yards. Gas central heating, electricity, bed linen, towels and Wi-Fi included. Travel cot and highchair. Enclosed rear garden with patio. Private parking for 1 car. No smoking. There is a step to the entrance of this property. Enclosed rear garden.